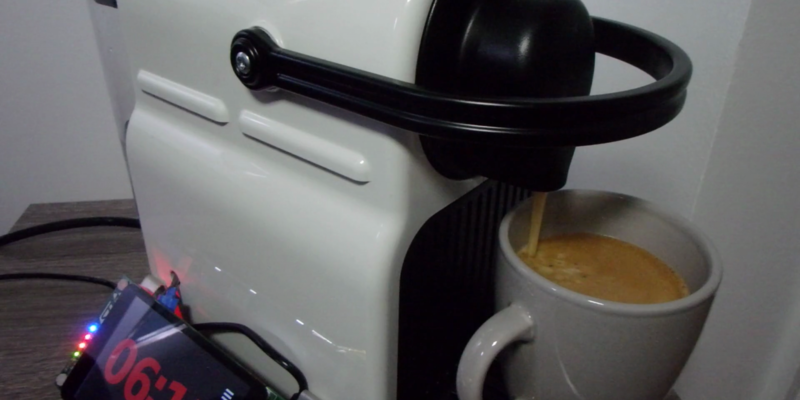 The basic idea is to control the espresso machine from an STM32F469 board and use the beautiful screen to display the clock face and configuration interface. 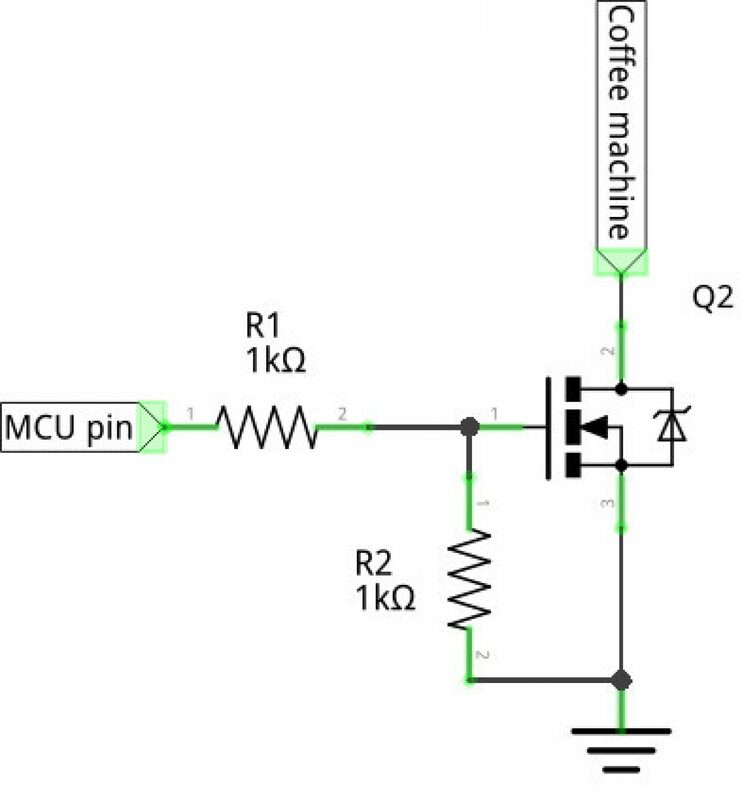 The first step is to be able to control the machine with the 3.3V signal of the microcontroller. To do this, I open the case to get to the two push buttons on the top. Warning! Do not open this kind of appliance if you don’t know what you are doing. First, it can be dangerous, second, these things are not made to be serviceable so there’s a good chance you will never be able to put it back together. 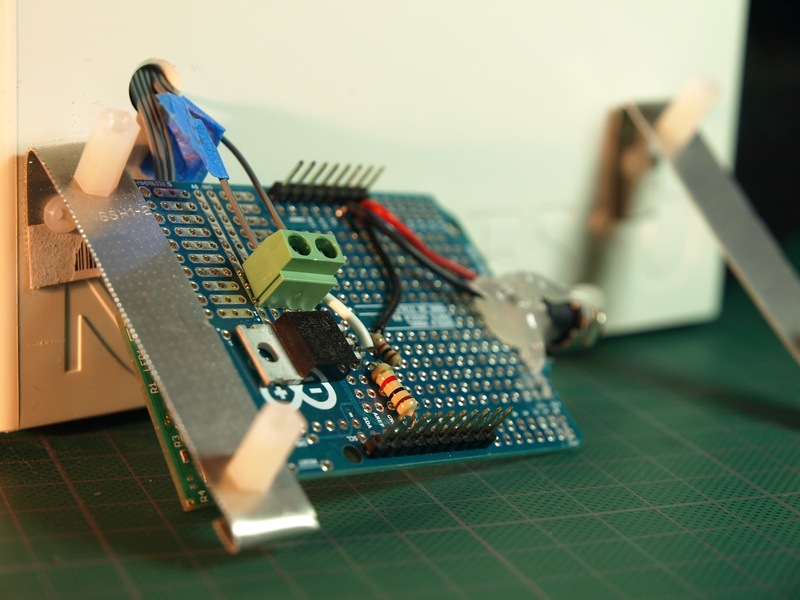 The push buttons are made with two exposed concentric copper traces on a small PCB and a conductive membrane that closes the circuit when the button is pushed. I use a multimeter to measure the voltage between two circles of one of the buttons. To my surprise the voltage is quite high, about 16V. 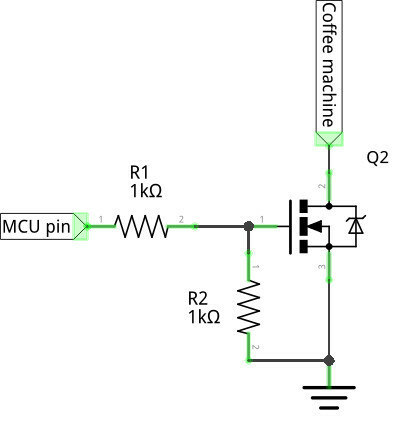 So I will have to use a MOSFET transistor to act as an electronic switch rather than just connecting the microcontroller to the espresso machine signals. I put that circuit on an Arduino proto shield that is then plugged behind the STM32F469 disco board. The only things left to do are to drill a hole for the wires to go out of the the machine and to make a couple of metal brackets to attach to the board. Here’s a video showing the entire hacking process. 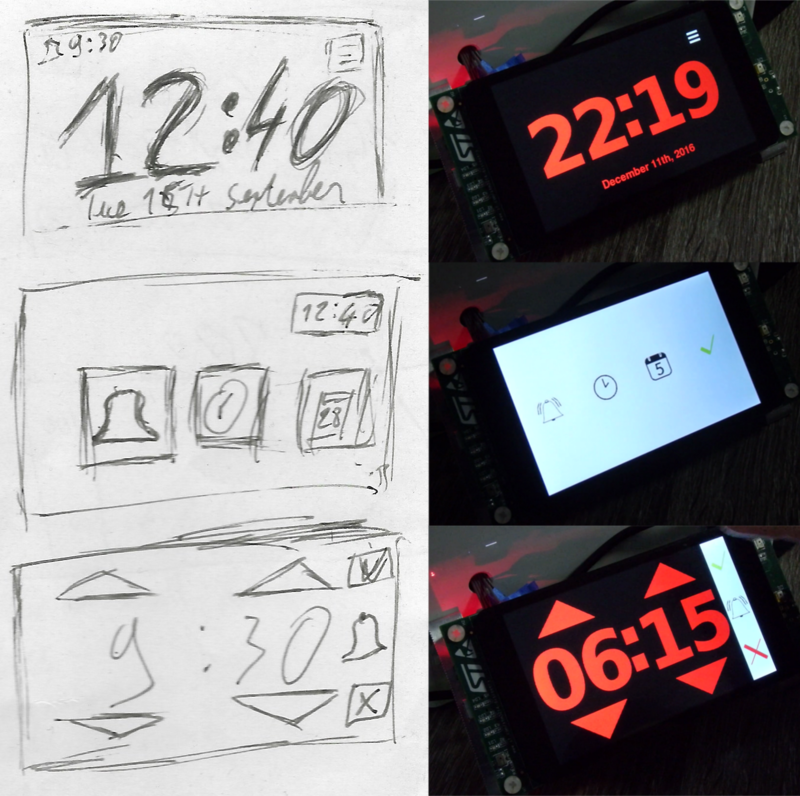 For the clock face and configuration interface I will use Giza, one of my toy projects that I developed to play with the object oriented programming features of Ada. It’s a simplistic/basic UI framework. Given the resolution of the screen (800x480) and the size of the text I want to display, it will be too slow to use software font rendering. Instead, I will take advantage of the STM32F4’s 2D graphic hardware acceleration (DMA2D) and have some bitmap images embedded in the executable. DMA2D can very quickly copy chunks of memory - typically bitmaps - but also convert them from one format to the other. This project is the opportunity to implement support of indexed bitmap in the Ada_Drivers_Library. I also add support for STM32F4’s real time clock (RTC) to be able to keep track of time and date and of course trigger the coffee machine at the time configured by the user. Feeling inspired and want to start Making with Ada today? We have the perfect challenge for you!